On Anti-Slavery Day (18 October), the Home Office has announced that it is to write to the chief executives of 17,000 businesses, telling them to open up about modern slavery in their supply chains or risk being names as being in breach of the law. Anti Slavery Day was created by the Anti-Slavery Day Act, a Private Members Bill introduced Anthony Steen CBE in 2010, and is an opportunity to raise awareness of the need to eradicate all forms of slavery. The International Labour Organisation estimates there are as many as 21 million victims of modern slavery and human trafficking worldwide, in a £115 billion industry. In the UK businesses with a turnover of more than £36 million must publish annual transparency statements, setting out what they are doing to stop modern slavery and forced labour practices occurring in their businesses and supply chains. Currently, just c.60 per cent of companies in scope have published such a statement and the Government has said that some of these statements are of poor quality or fail to meet legal requirements. CECA members were briefed on the issue ahead of changes to the law. Commenting, Minister for Crime, Safeguarding and Vulnerability Victoria Atkins said:“It is horrible to think some of the goods and services we buy could have been produced by someone forced into modern slavery. This is abhorrent and as global leaders in the fight against modern slavery, we will not tolerate it. 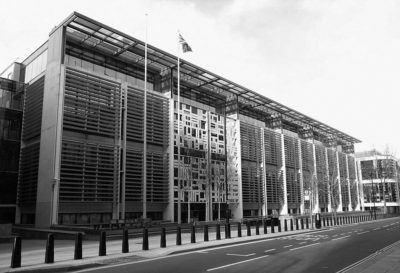 You can read the Government’s Guidance on how to report modern slavery here.